Tribune Chronicle / Andy Gray Joseph Natoli of Howland demonstrates the capability of a digital accordion. Natoli is cofounder of IDEAS (International Digital Electronic Accordion Society), and the group will host its first symposium starting Wednesday at the Avalon Inn and Resort. HOWLAND — When Joseph Natoli plays his accordion, it doesn’t sound anything like the musicians who used to be heard on “The Lawrence Welk Show” or those playing polkas in ethnic clubs. “It is one of the most expressive electronic instruments on the planet,” he said. Traditionalists disagree. Some accordion players look down on those who play electronic instruments in the same way a classical guitarist might view an electric guitar player or a pianist may view a someone using a synthesizer. When Michael Soloway, one of Natoli’s students, registered to attend an accordion conference in Italy, he was told to bring only an acoustic accordion. Digital accordions were not welcome. If they weren’t welcome at the acoustic accordion events, they would create their own. Natoli and Soloway started with a Facebook page Gr8 IDEAS (International Digital Electronic Accordion Society), and the pair will host the first IDEAS Symposium, running Wednesday through Saturday at the Avalon Inn and Resort. Natoli, 65, started out as a traditionalist. Both his father and grandfather were accordion players. In 1972, Natoli was a national champion and first runner-up internationally. 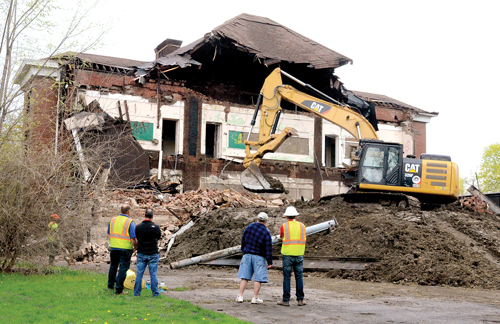 He played in different bands over the years and performed regularly as part of a duo at the old Jimmy Chieffo’s restaurant in Warren. He first explored digital accordions about 10 years ago. His father was ill, and Natoli was looking for a more lightweight option so his dad could still play music. Roland sponsored a competition to win one of its digital accordions, and Natoli won. “That was my motivation, but once I got into it I loved it,” he said. 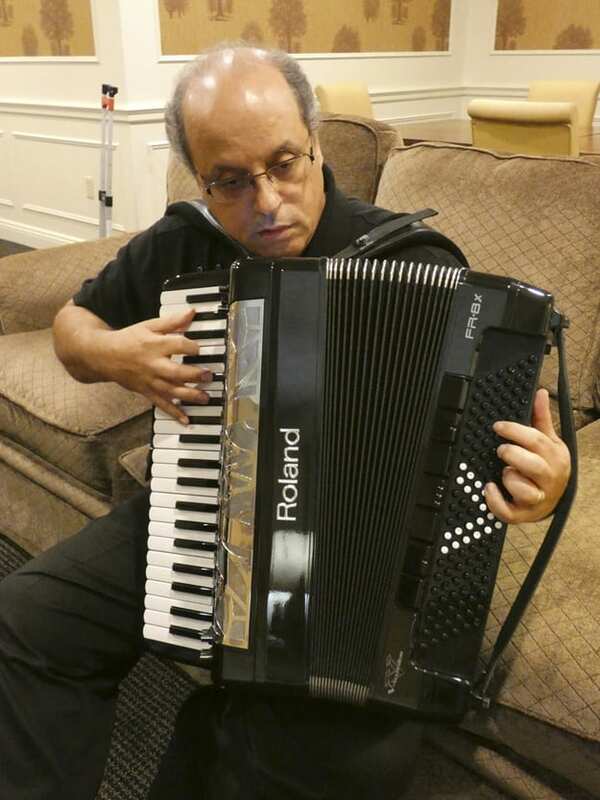 Soloway, 69, a retired cosmetic dentist who also was a professional pianist, discovered the digital accordion after seeing Natoli perform at an American Accordion Association event about five years ago. Soloway started taking lessons with Natoli via Skype and traveled to Howland on occasion for in-person lessons. The Facebook group, which has more than 450 members, helped them connect with like-minded musicians around the world. The first symposium will have about 50 attendees who are traveling from as far as New Zealand, Australia, Italy, Israel, Canada and Alaska. Some of the accordionists will sit in with pianist Joe Augustine during his regular Wednesday gig at the hotel, and concerts that are open to the public are planned at 8 a.m. Thursday, Friday and Saturday, with evening concerts at 7:30 p.m. Friday and 8 p.m. Saturday. The morning programs will run about an hour while the evening performances will be about 90 minutes. Those concert will feature unique configurations of musicians using the digital accordion to play jazz, classical and other genres. “You’re going to hear the best in the world on this instrument, people from all over the planet who are the best on this instrument,” Natoli said.